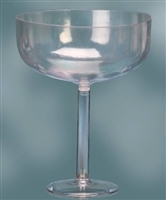 Clear plastic wine goblets made from food safe, BPA free plastic. 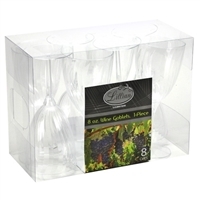 Goblets come in packs of eight. 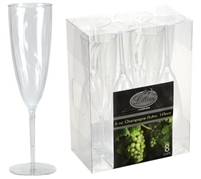 Clear plastic champagne flutes made from food safe, BPA free plastic. Flutes come in packs of eight. 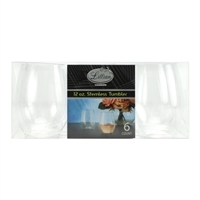 Clear plastic stemless tumbler, 4.5 ounce. Comes in pack of ten. 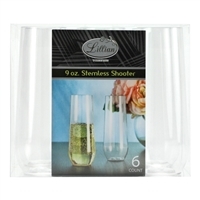 Clear plastic 9 ounce stemless shooters. Shooters come in packs of six. Clear plastic stemless tumbler, 12 ounce. Comes in a pack of six.